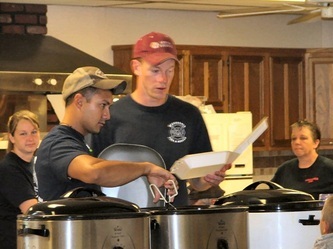 Firemen dish up eggs, pancakes & sausage at the MVFD fundraising breakfast. 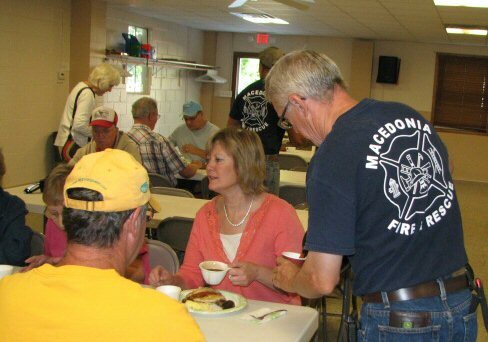 Fireman Paul Faxon pours coffee for Sharon Salvo & Merrill Slump at the Fireman's Breakfast. 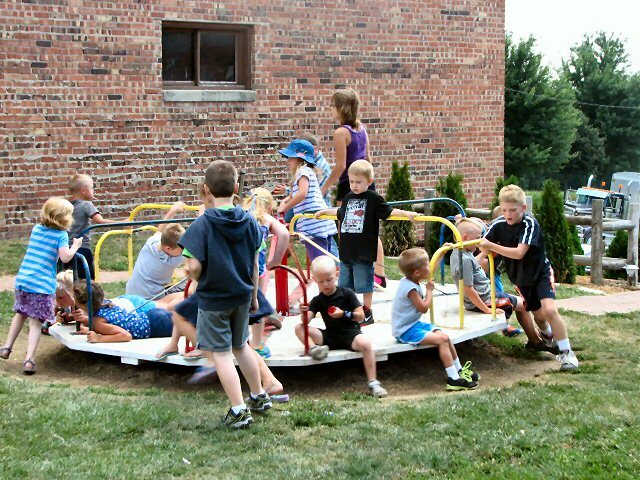 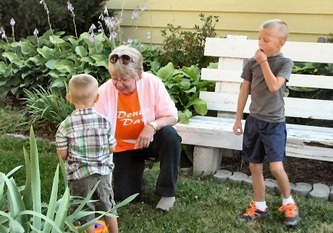 Susan Goos had a few kids early for games in the gazebo park. 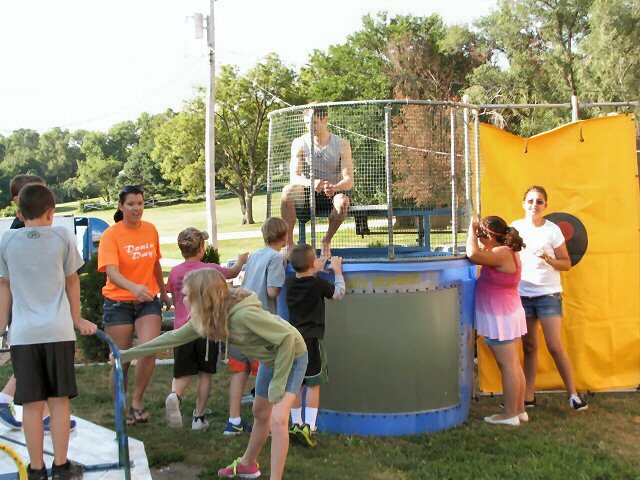 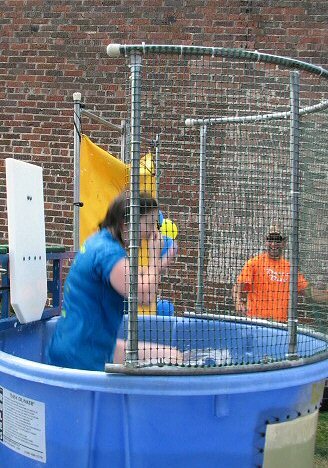 Pastor Brody Tubaugh of the Carson Methodist Church braved the early morning chilly waters of the dunk tank. 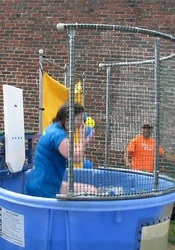 Callie Kallsen on her way to the drink in the dunk tank. 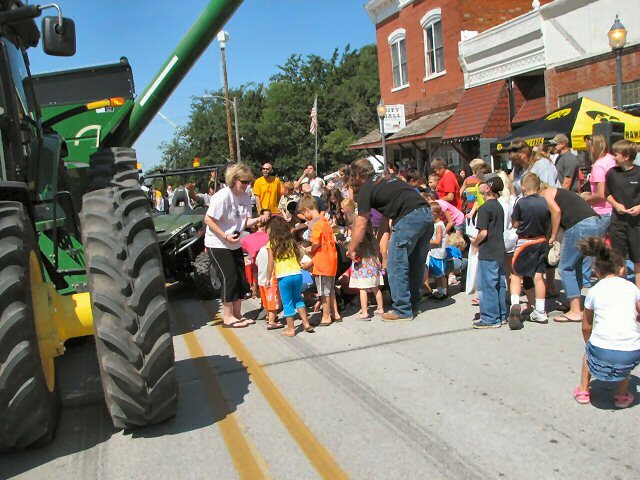 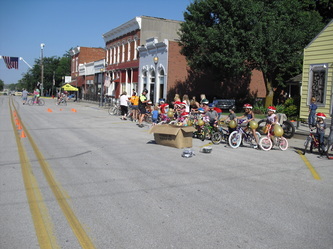 The kids who participated in the Bike Rodeo listen to Melinda & Traci McCready give them instructions about the parade. 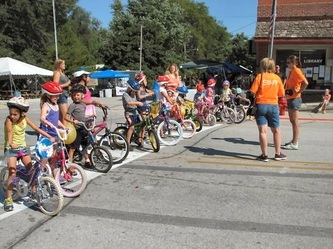 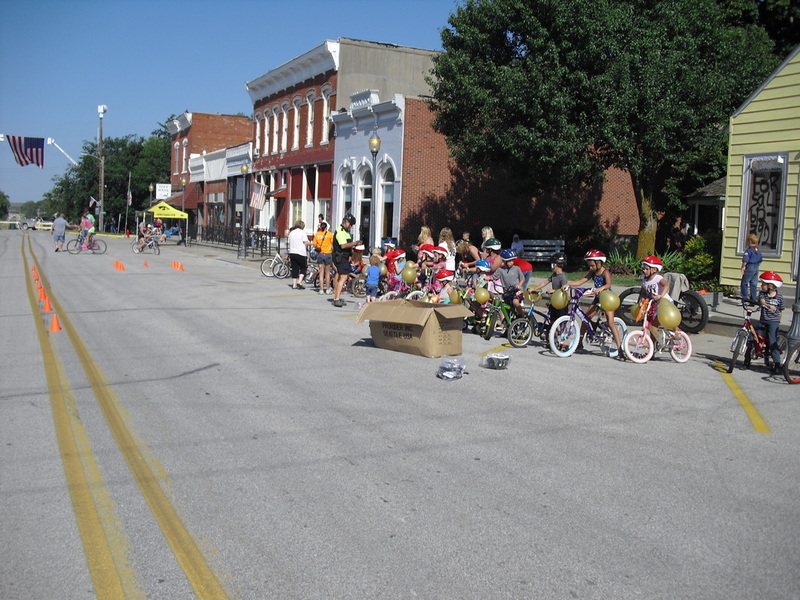 Kids lined up for the Bike Rodeo. 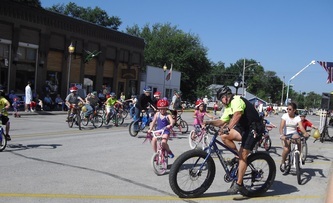 Officer Riche, Kim Robertson & Traci McCready conduct the Bike Rodeo, teaching safety & traffic signs practice. 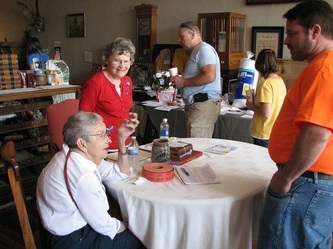 Bonnie Pilling & Donna Cole chatted with Pastor Bruce Smith in the Pioneer Trail Museum where they held a fundraising silent auction. 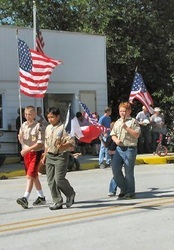 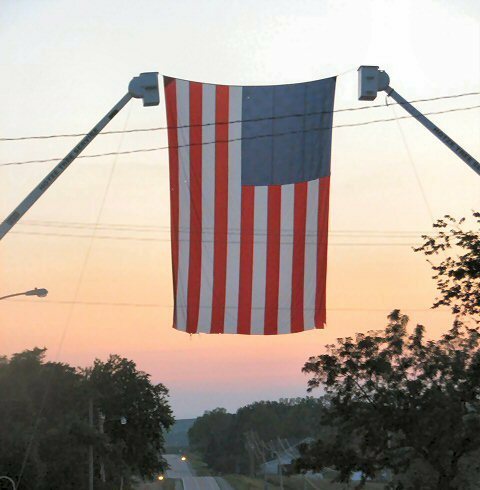 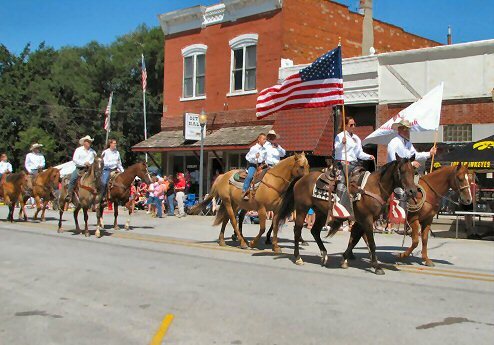 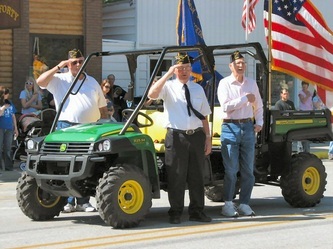 The Boy Scouts of Troop 73 carried the colors. 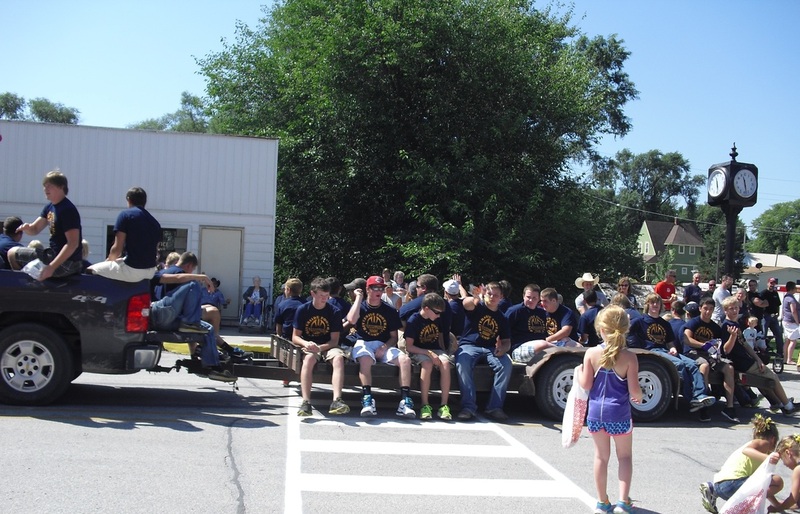 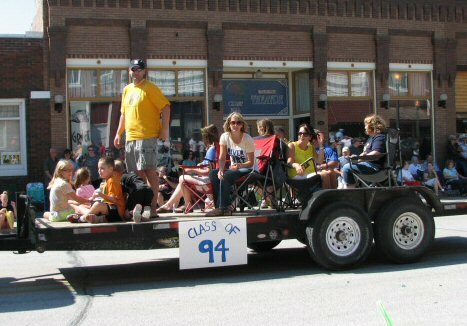 The parade grand marshals were the members of the class of 1994, the first year of Riverside School. 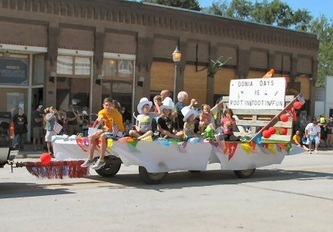 The Sigma Gamma Club won first prize. 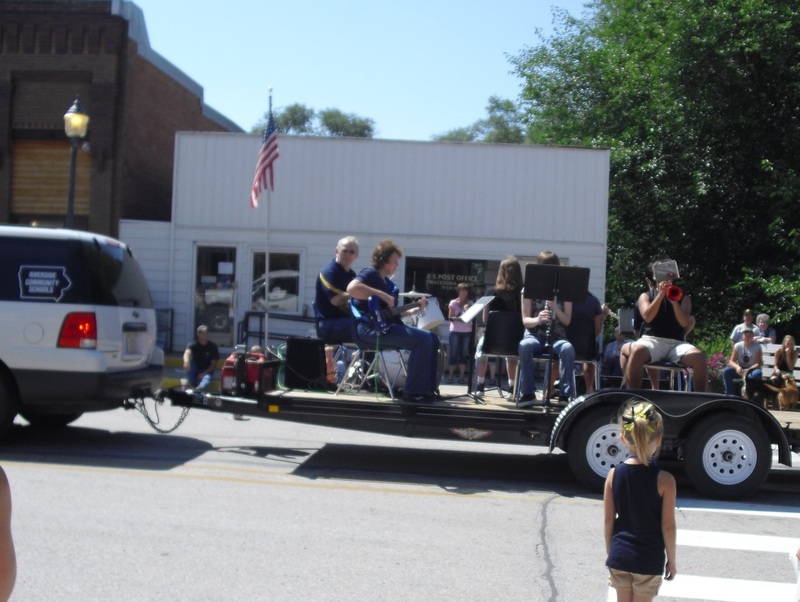 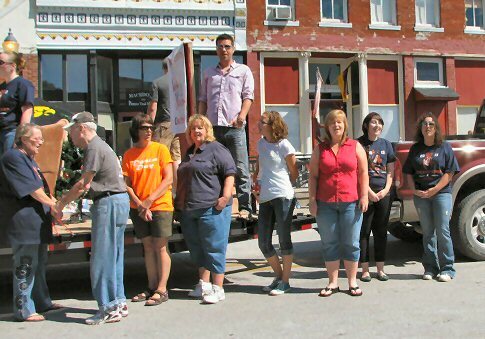 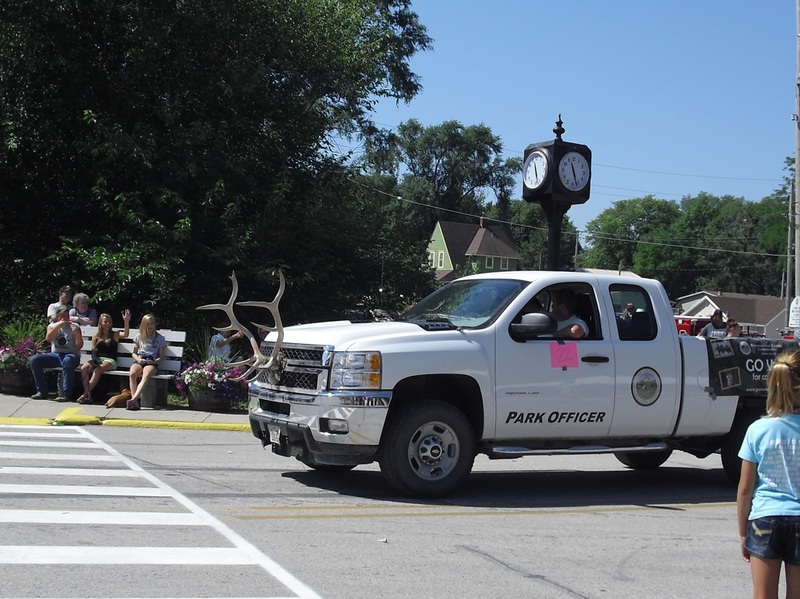 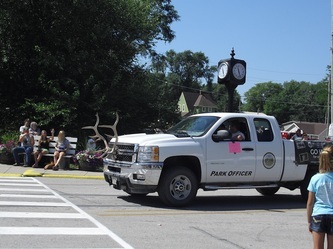 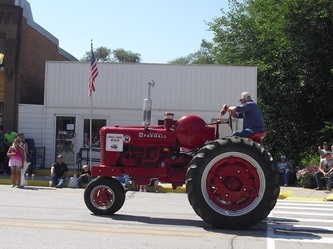 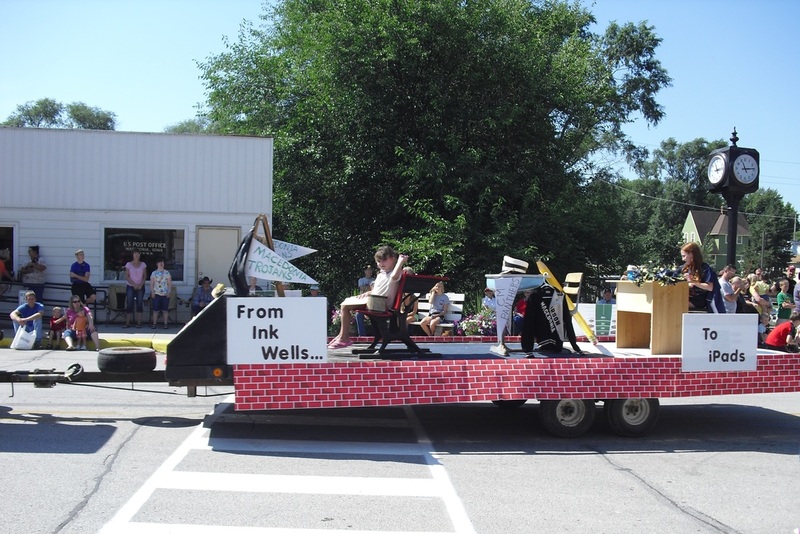 Grist Mill presented a Flash Mob for its float entry. Vince Baker who was "sleeping & dreaming" on the float, singers, led by Carol Forristall, drifted from the crowd to sing "I'm Dreaming of a White Christmas." 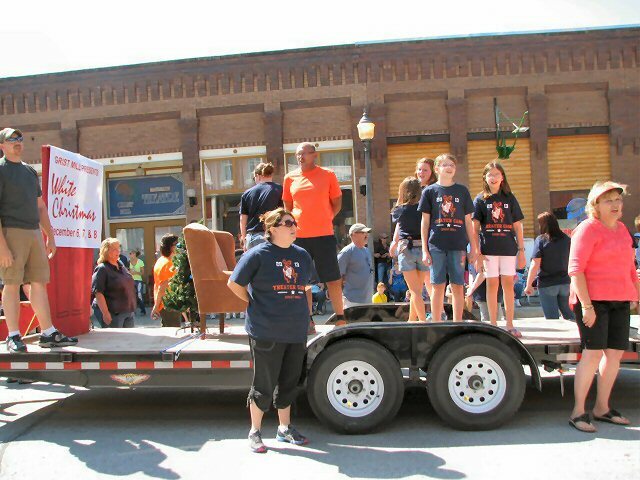 Grist Mill will present "White Christmas" in December. 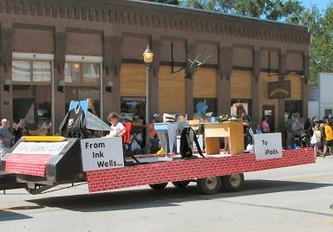 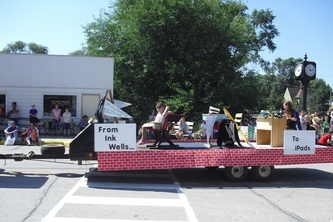 The Carson United Methodist Church float. 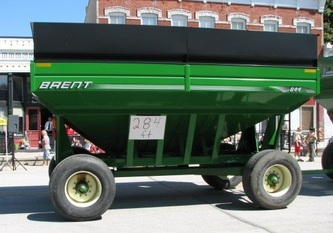 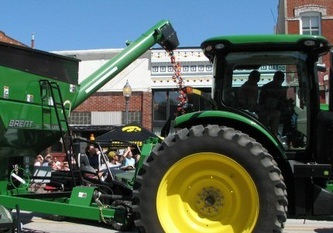 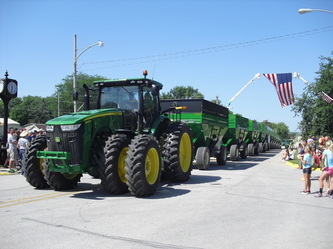 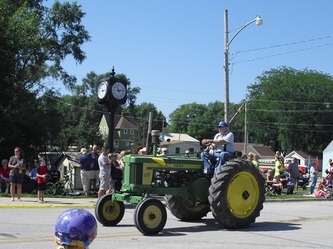 A&M Green Power had a unique parade entry of 11 wagons being pulled by a very large tractor. The sign on the last of the very long line of 11 wagons from A&M Green Power says it all. 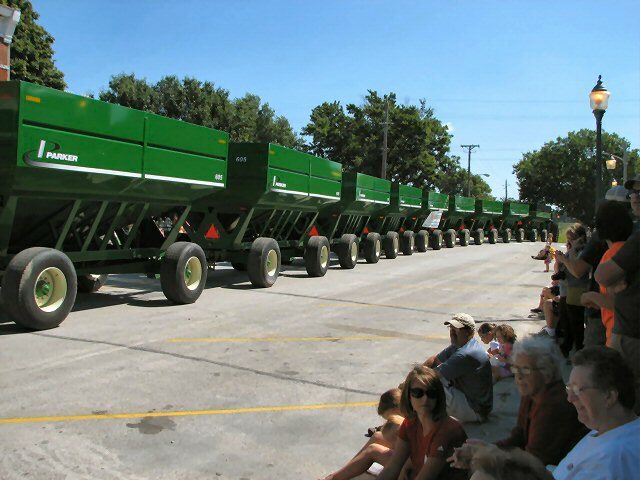 That's a whole lotta wagons. 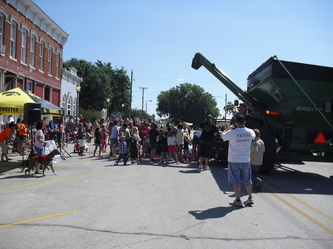 A&M Green Power doesn't just throw candy to the kids, they put it through an auger wagon! It's a mad scramble for the hundreds of candy pieces from the auger wagon. The recently refurbished merry-go-round on Main Street is literally a kid magnet. 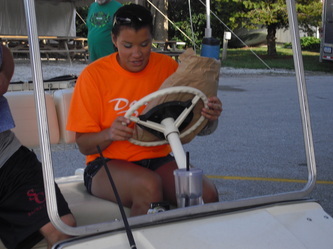 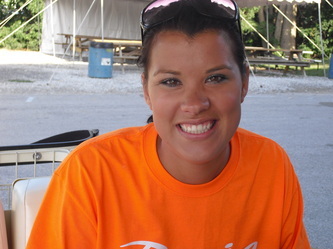 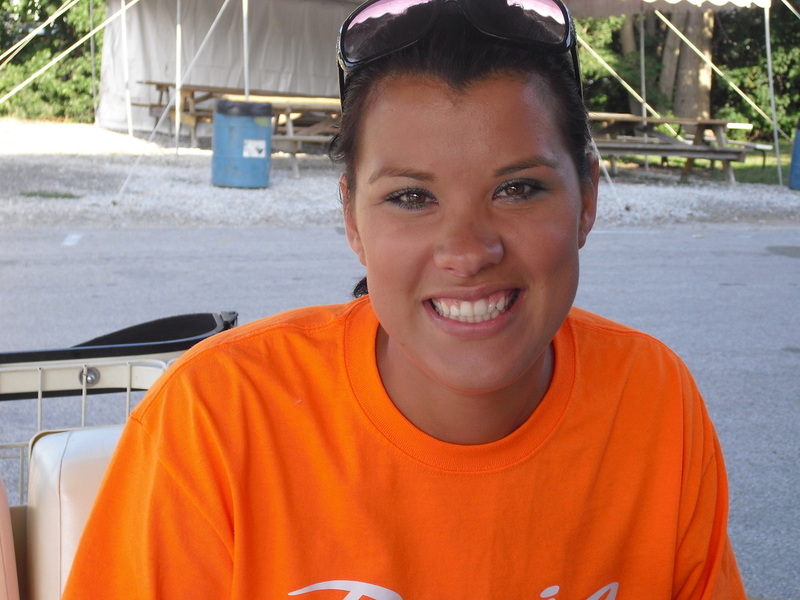 Donia Day organizer Laura Lajko. 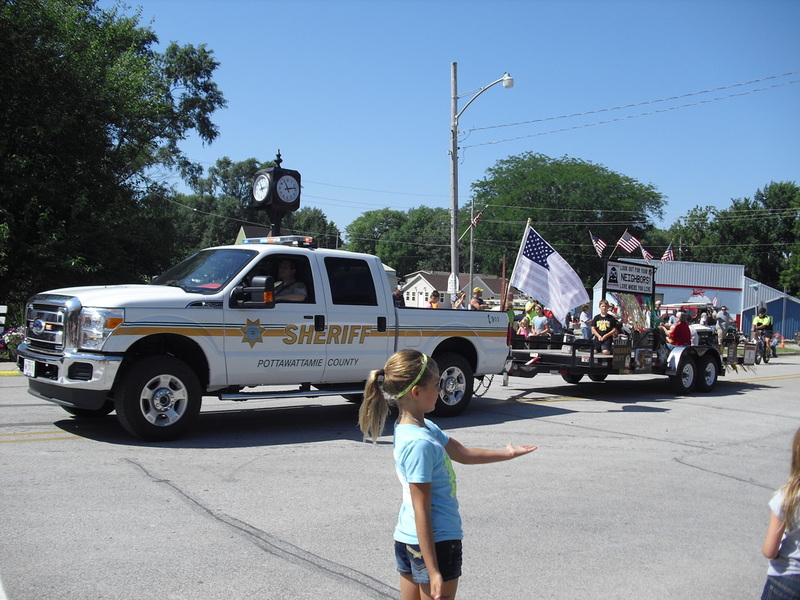 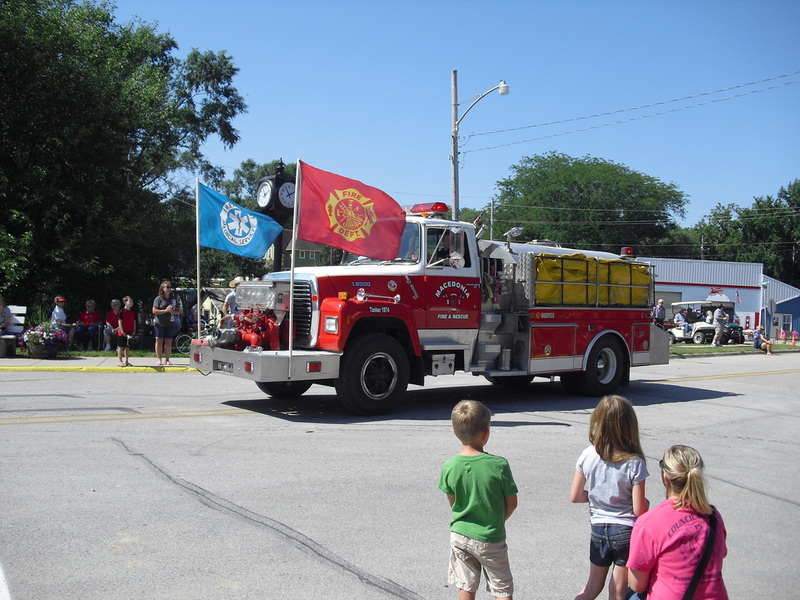 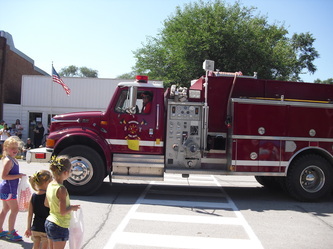 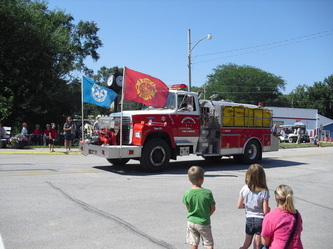 Macedonia Volunteer Fire Department in the parade. 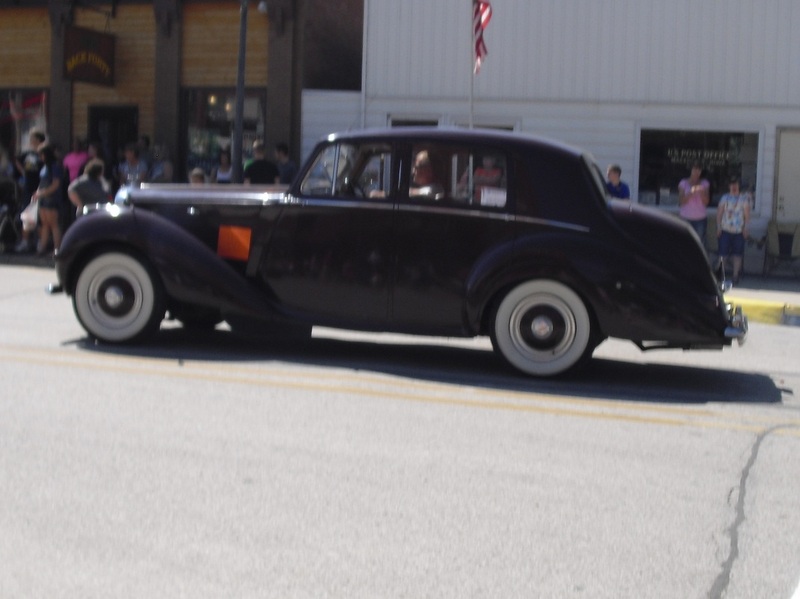 Rod Bentley driving a Bentley. 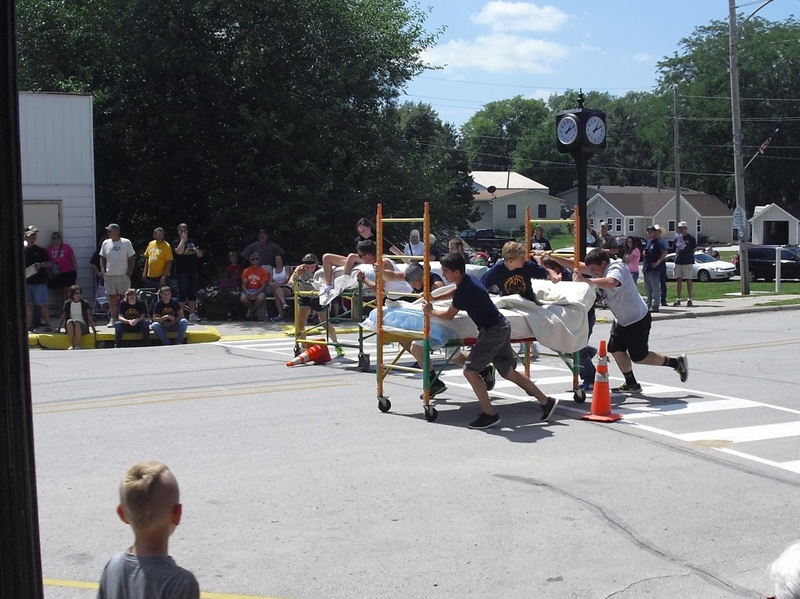 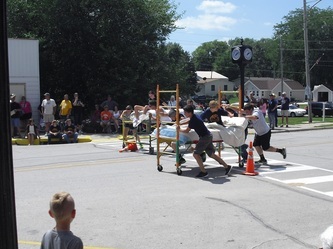 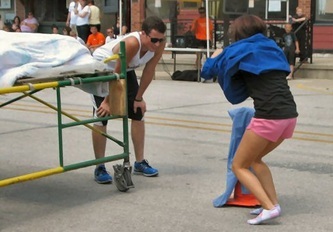 The fast-paced bed races is a popular event to watch. 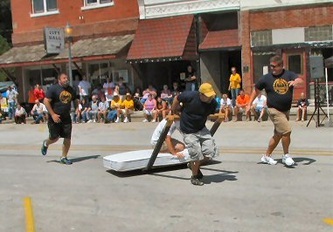 The Riverside Coaches' Bed Racing team. 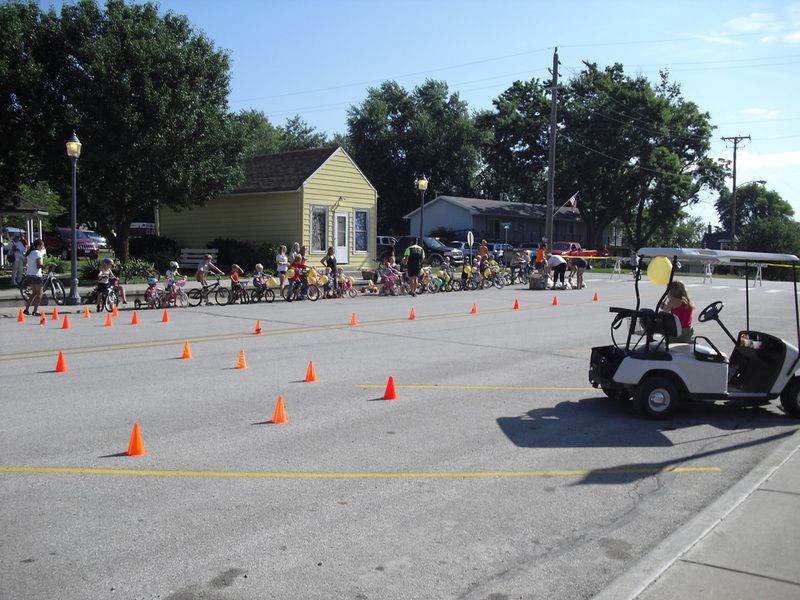 The runners get to take a breather while the "rider" has to change into surgical scrubs & a cap. 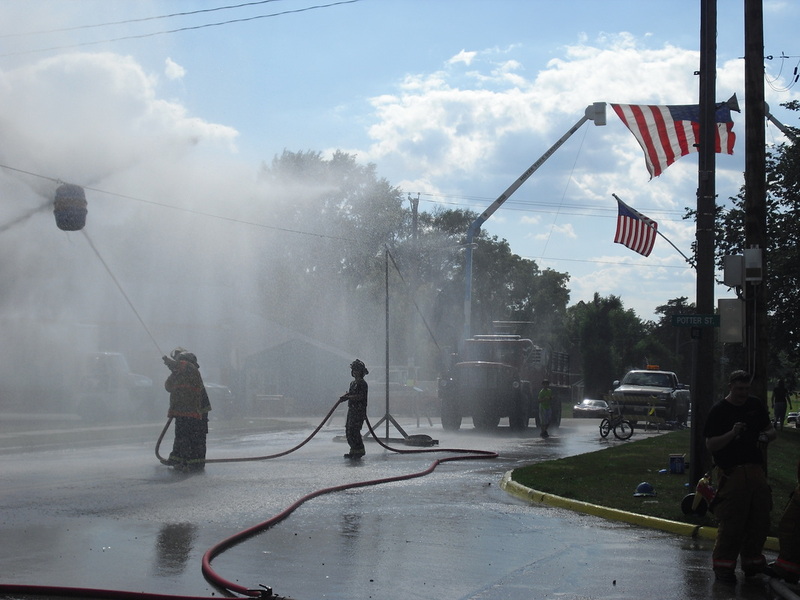 A highlight of Donia Day is the firemen's water fights. 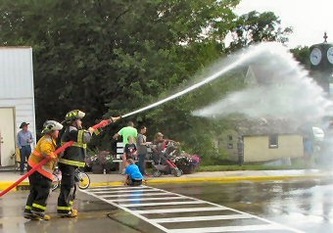 Other fire departments send in teams to compete for prizes & bragging rights. 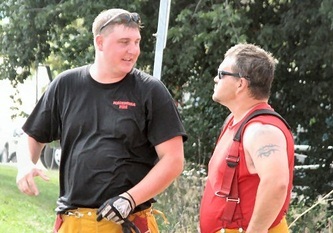 Firemen Mitch Easton & Rob Eckes talk strategy during the fire department water fights. 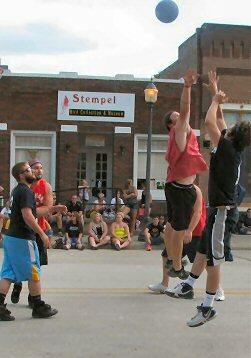 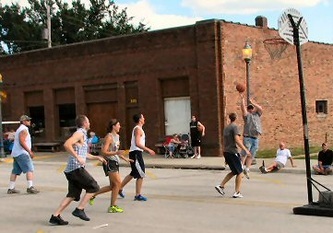 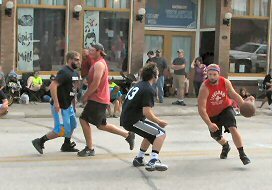 3 on 3 Basketball on Main Street. 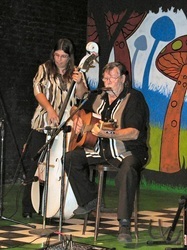 Bob & Sheila Everhart entertained with blue grass music to benefit the Macedonia Historical Preservation Society. 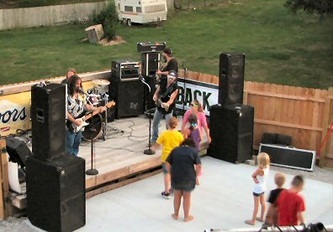 Off the Grid performed at the Back Forty to end the day.